Now I ain’t anything more than a typical college film student, so I’m sure I have little by way of fresh observations to bring to the table when it comes to “Seven Samurai”. But some things are worth repeating, some films are worth revisiting over and over because they’re just *that good*. 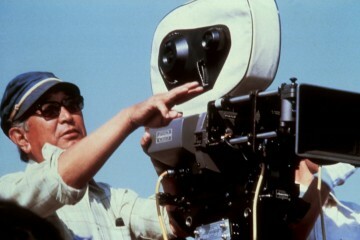 If I really think about it, Akira Kurosawa very well may be my favorite director. His ability to compose a frame and direct his actors with an unyielding sense of energy and charisma is a rare gift. Nowhere else are these gifts so gloriously displayed as they are in what is arguably Kurosawa’s 1954 masterpiece; “Seven Samurai”. 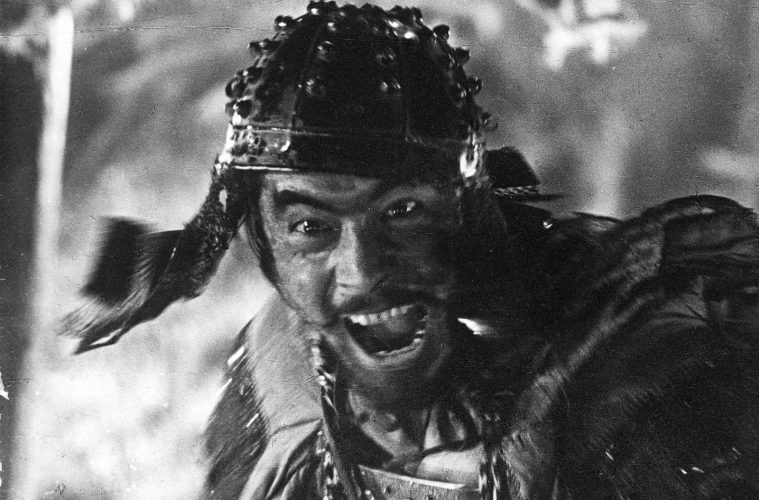 What makes “Samurai” endure so well as a piece of epic cinema, I think, is the breadth of its accessibility. In most contexts calling a piece of art “broad” would not be deemed a compliment. But in “Samurai” Kurosawa finds a story and characters to populate it that people of all ages, genders, and cultural backgrounds can connect with and root for. It’s a classical heroes tale, though not devoid of complexity or darkness. Action-wise, “Seven Samurai” is a great example of Kurosawa’s style. There’s a distinctly unpolished tone to the way he directs action. The heroes can often be seen completely whiffing strikes at their opponents, characters flail around, their blades flying every which way. It’s not terribly graceful, but it provides a sense of objectivity to the proceedings. Rather than putting heavy emphasis on choreography or slick camera movements to heighten the “action” feeling, Kurosawa usually just sits back and lets the camera observe how things play out. But make no mistake; though less emphasis is placed on fight choreography, Kurosawa has a vision for the overarching battle in his head. For a film of its period, “Samurai” has an impressive grasp of how to portray complex, wide-ranging conflict on screen. “Seven Samurai” is one of those special works where its influence can be felt in ripples all throughout the years of cinema history that have followed it. It’s an epic, as sweeping and grand in its emotional content as it is in its meticulously built sets and battle sequences. It’s an absolutely essential work for cinema lovers, especially those with an affinity for epic filmmaking, such as myself. Many films have taken to reworking and reimagining this story for other contexts, and that’s great, but none hold a candle to the unique excellence Kurosawa brings to the table.